For this outfit I stayed away from my comfort zone, choosing to wear something I never imagined myself even considering till recently. Regular readers to my men’s fashion blog will rightly guess that the baseball cap upon my head is the item I’m referring to, I haven’t worn one since I was an infant! However, my interest has slowly been turned in their direction as the popularity of fashionable baseball caps has increased. 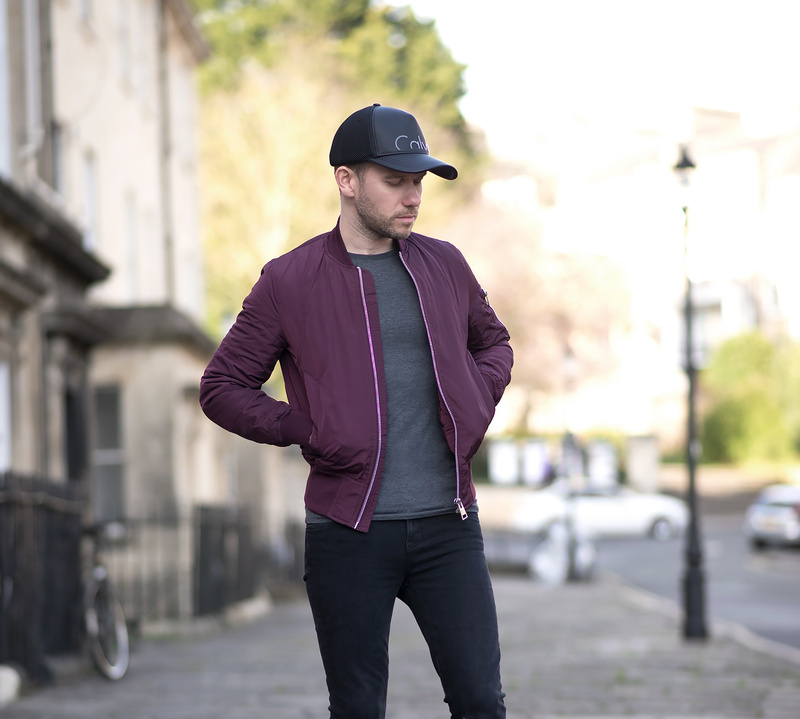 My desire for a baseball cap began after I saw fellow fashion bloggers sporting them and featuring them in a variety of outfit posts. This in itself shows the influence they can have on their readership, including those in the industry. I decided to start off with something more subtle for my gateway piece, nothing too brash or loud. 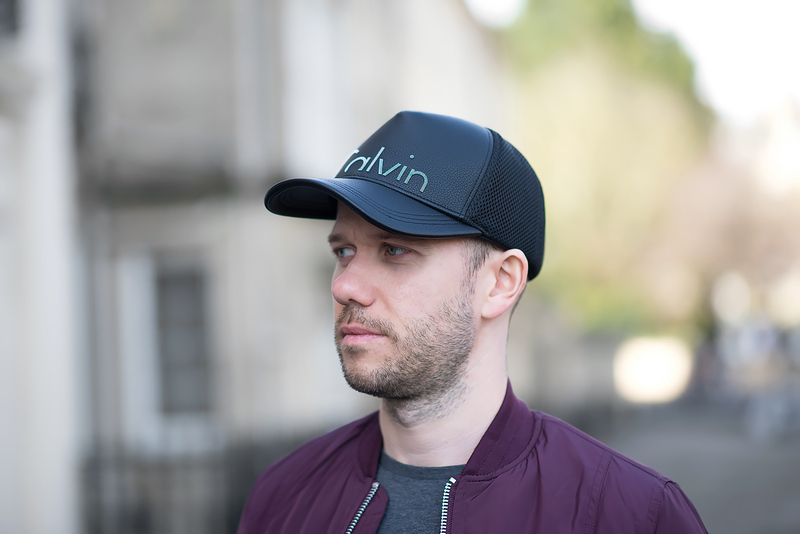 So I came to the conclusion the the Calvin Klein Trucker Cap would be the ideal candidate. Simple black design in faux leather with contrasting mesh on the reverse. Upon trying the cap for the first time, I was actually pleasantly surprised, in fact I liked how it looked! It wasn’t long ago that I rejected the idea of wearing any style of hat. Yet, late last year I was finally introduced (kicking and screaming against the idea, I might add!) to various hats and was instantly hooked! 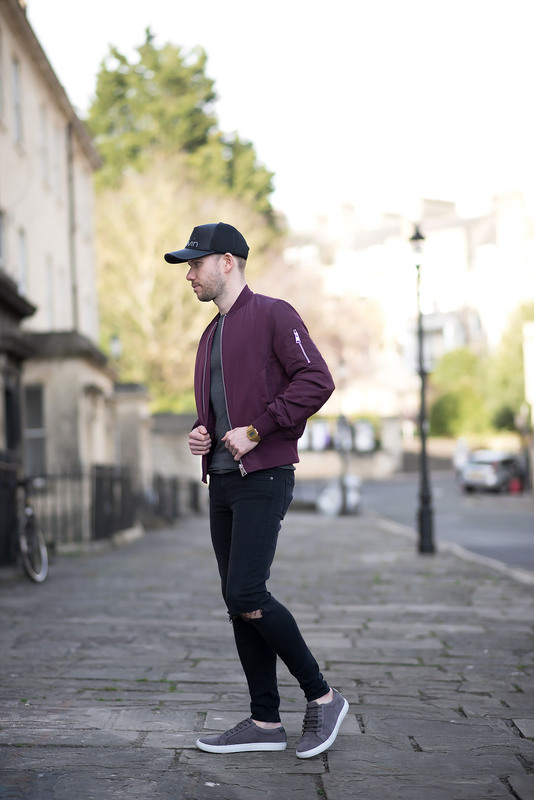 I teamed my baseball cap with an ASOS Bomber Jacket With MA1 Pocket In Burgundy to add a pop of colour to the otherwise dark outfit. My chosen denim was the GRLFRND ripped black skinny jeans (a personal favourite of mine, which I wore in a previous outfit). 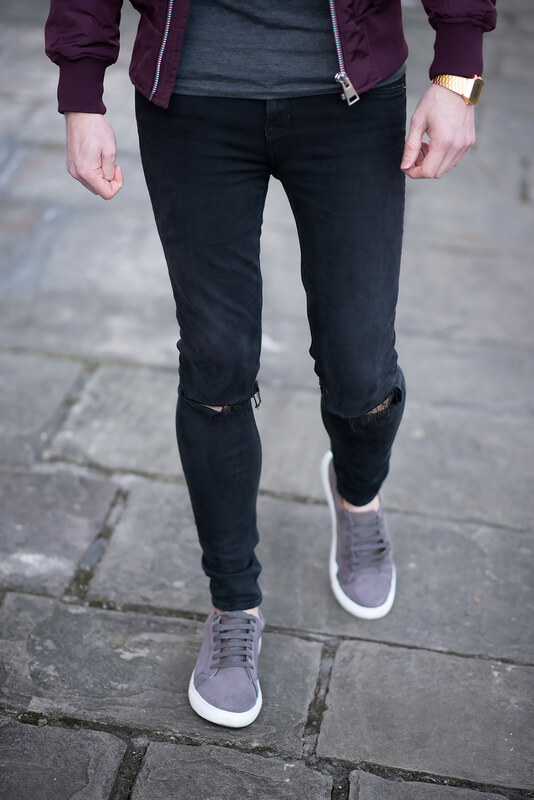 The finishing touch was a pair of Grey Faux Suede Trainers, giving just enough distinction from the pitch black denim. 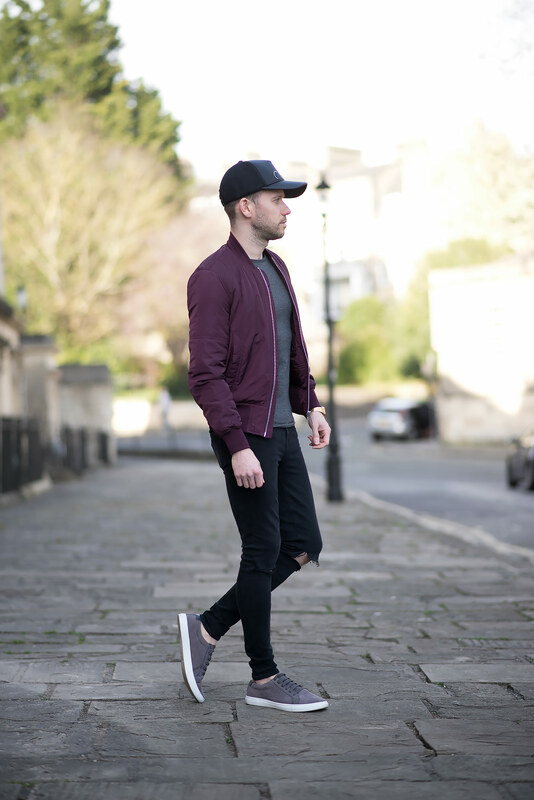 Please let me know in the comments what you think of my outfit, particularly the baseball cap! Would you wear one or do you think its home is in the 90’s? 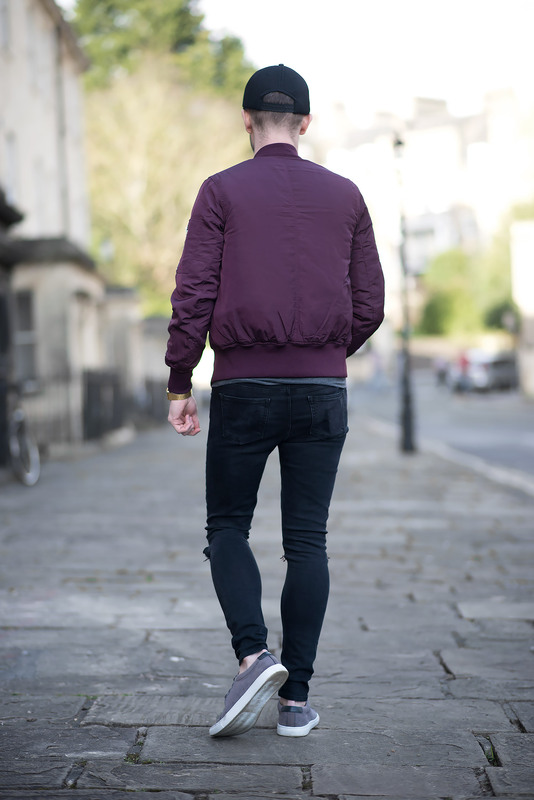 it’s a great casual look, and yet you manage to make it stylish. Love it. beautiful look and amazing jacket outfit.